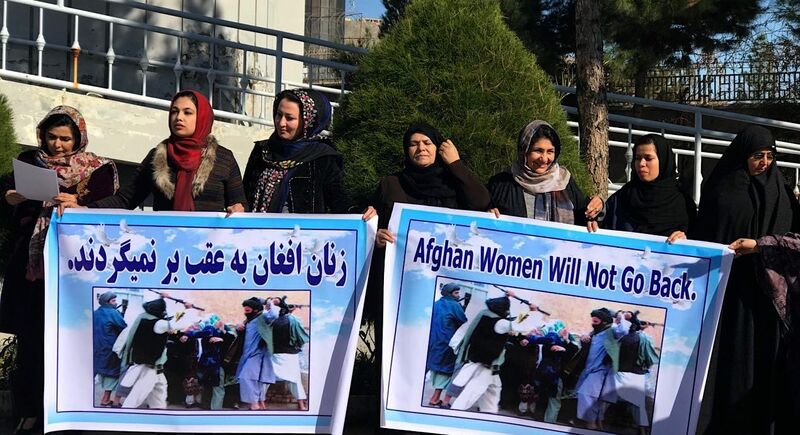 MOSCOW -- A photo of a Taliban member leading a prayer for Afghan opposition politicians and other Taliban members has stirred a furore among Afghans who have long suffered violence at the hands of the militants. 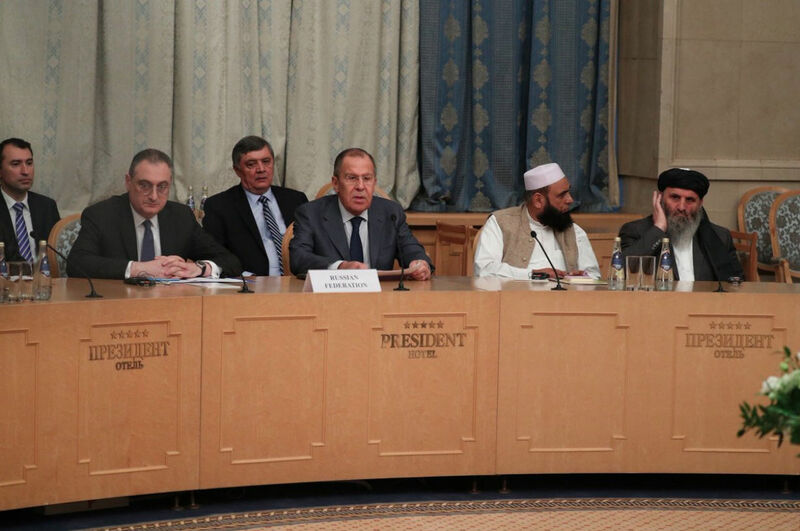 Taliban representatives and a number of opposition politicians took part in a two-day meeting in Moscow February 5-6 (Tuesday-Wednesday). None of the government's envoys tasked with peace negotiations received an invitation to the event, which critics have derided as an attempt to sabotage peace-making efforts. In the hotel where the meeting took place, Afghan politicians can be seen standing behind a Taliban member offering prayers. "Imams should not be immoral and should not have committed a major sin," Mohammad Salem Hassani, a religious scholar from Kabul, told Salaam Times. "But the members of the Taliban, until they repent and make peace, are immoral for two reasons: rebellion against the Islamic Republic of Afghanistan and involvement in the killing of innocent Muslims." "Therefore, praying behind Taliban members who are at war and destroy innumerable innocent lives is by no means justified in Sharia," he said. The photo has aroused the ire of Afghans on social media. "Many on social media criticize Afghan politicians 4 praying behind a Taliban representative n #Moscow," tweeted Sharif Hassan, an Afghan journalist based in Kabul. "They say Taliban have the blood of innocent people in their hands&praying behind a Talib is betrayal to the people who lost their lives protecting the system." "Blow up #mosques & indiscriminately kill devout #Afghans while praying in #Kabul BUT round up everyone in an unclean, stinky lobby of a 3-star hotel by elevators in #Moscow to pray," Afghan Ambassador to Sri Lanka Mohammad Ashraf Haidari tweeted February 5. "These images can't humiliate more those, who went & were seen walking around behind #Taliban reps!" he said. Former President Hamid "Karzai stands next to Abbas Stanekzai who wants to dissolve Afghan forces. Of course, Imam is also one of Karzai's 'unhappy brothers'," said Afghan Facebook user Mirwais Rhamani. 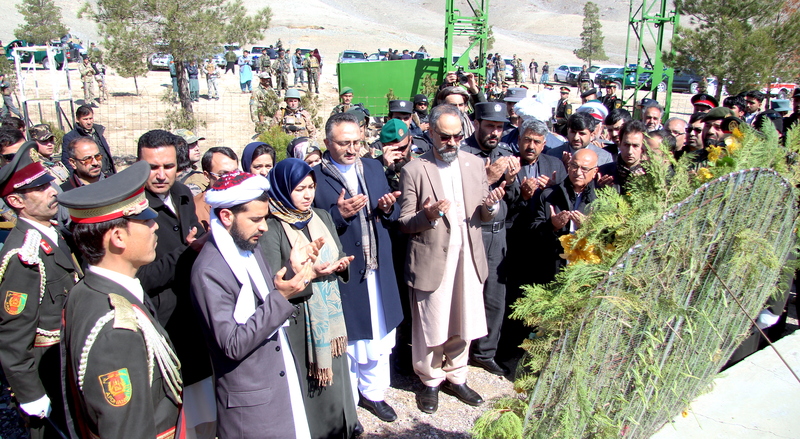 "The funeral prayer of my Afghanistan," Romal Fahim, another Afghan Facebook user, said of the photo. "A delegate of Taliban is leading the prayers! How can one whose hands stained in blood of thousands of innocent ppl lead the prayers?" asked Afghan Twitter user Rahmat Rasikh.